CAT-Law Navigator: The “El Niño” Effect In Peru, Can Anything Be Done? The “El Niño” Effect In Peru, Can Anything Be Done? After a period of severe drought, per recent news reports the “El Niño” effect is bringing heavy rainfall on Peru´s Northern coast causing overflowing of rivers, mudslides and flooding. This is the worst such disaster since 1997 and 1998, when a similar “El Niño” event in Peru affected over 100,000 people, killing several hundred and causing property losses of over USD 7.5 billion. This time, over 800 cities have been declared in state of emergency, the death toll is nearing 100, and property damage is also on the rise. The National Oceanic & Atmospheric Administration (NOAA) website explains that “El Niño” and “La Niña” are opposite phases of what is known as the El Niño-Southern Oscillation (ENSO) cycle. The ENSO cycle is a term that describes the fluctuations in temperature between the ocean and atmosphere in the east-central Equatorial Pacific. 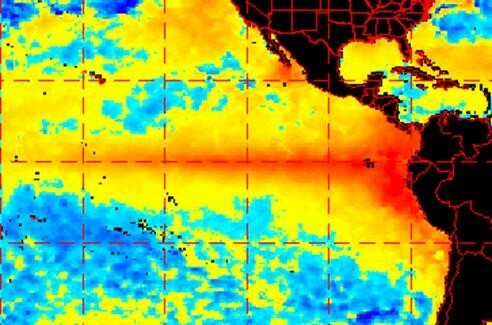 As part of the “El Niño” effect warm waters appear on the ocean surface near or during December thus causing rainfall to increase. Although public awareness of this climatic phenomenon may be recent, the “El Niño” effect is hardly new. It is said that fishermen off the coast of South America had identified it as early as the 1600s. The NOAA has been able to establish past ENSO events as far back as 1897 based on a Multivariate ENSO Index. As part of his emergency response, Peruvian President Pedro Kuczynski has prioritized re-opening the Panamericana Norte roadway in the Viru área, for which a provisional bridge needs to be constructed. This would allow a connection with the capital city of Lima. The Peruvian President also underlines the importance of repairing the Chavimochic canal to secure potable water for the population. A few days ago the Peruvian banking, insurance and pension authority “Superintendente de Banca, Seguros y AFP” (SBS) issued Rogatory 10250-2017 requesting that Banks re-schedule financial obligations pertaining to clients in emergency zones who have trouble honoring their debts. In reply, the members of Association of Banks (“Asociación de Bancos” or ASBANC) committed to re-scheduling financial obligations of affected clients in certain areas of Lima, the Province of Callao, Piura, Lambayeque, La Libertad, Tumbes and Ancash. Clearly, this is not enough. As part of the discussions, Index-based insurance was proposed as a way of curbing the negative economic effects of extreme “El Nino” conditions in Peru such as has been used for insuring cattle in Mongolia, flood and drought in Vietnam, or earthquakes in Indonesia. Unlike traditional insurance, which pays out only when damage has occurred, this type of protection uses an index specified in the policy -such as the amount of rainfall– as a payment trigger. Payment would be made irrespective of the actual damage, with which costly damage measurements can be avoided. The result is affordable coverage in reach of the poorer sections of the population. This is not a comprehensive solution to all, and there are even legal issues to address, but it is an interesting starting point. The 2016 World Economic Forum Global Risks Report situates “extreme weather events” in second place amongst other relevant world risks in terms of likelihood of occurring, and with high impact. Such as has been the case for hundreds of years, the people of Peru as well as those of other Latin American nations will probably continue to be affected by climate disasters. Initiatives such as that of the Peruvian authorities should be applauded for helping to create the necessary discussions that will surely lead to finding better ways of coping with the problem. *Not licensed to practice law in Florida.